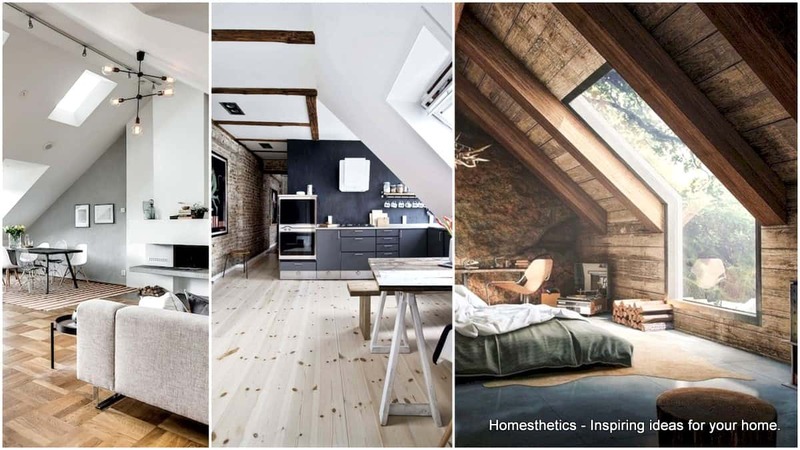 Cozy Attic Interiors That You Would Love To Live In | Homesthetics - Inspiring ideas for your home. 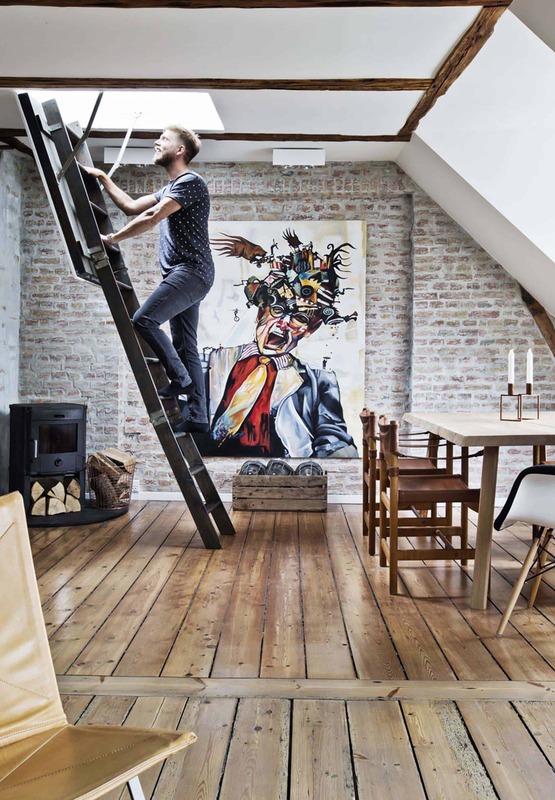 The attic is the space of the house just beneath the roof, and most of the time it’s left unused, often people just use it as storage. 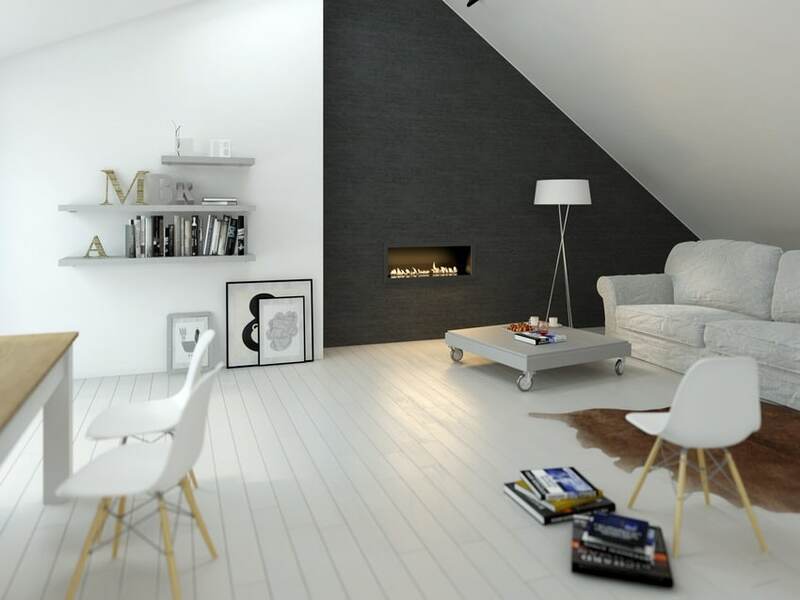 But, when designed well the attic can play the role of any other floor with ease. 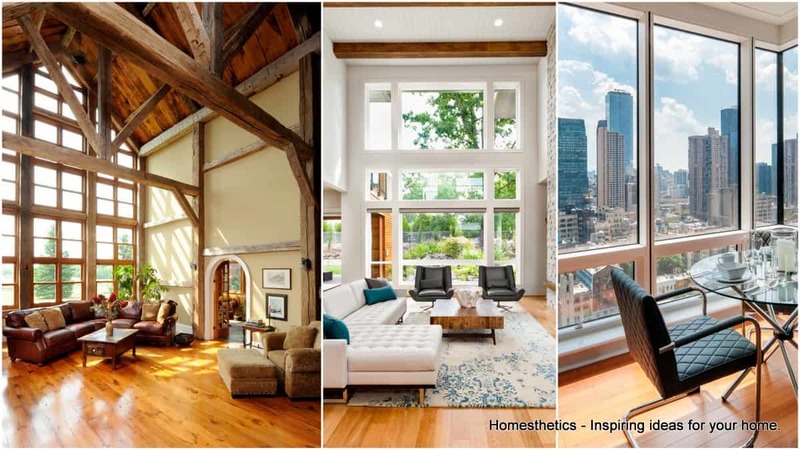 It has a special charm, and the living spaces in the attic are more welcoming and inviting. 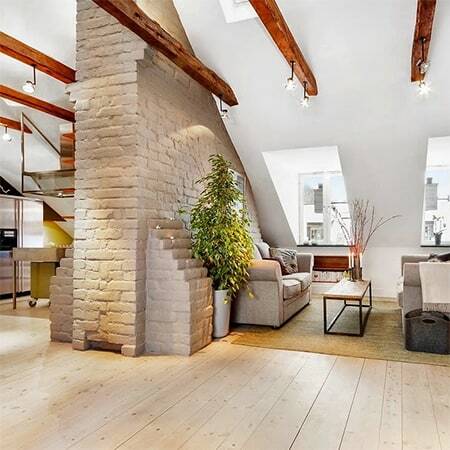 Here you are going to see some Cozy Attic Interiors That You Would Love To Live In. 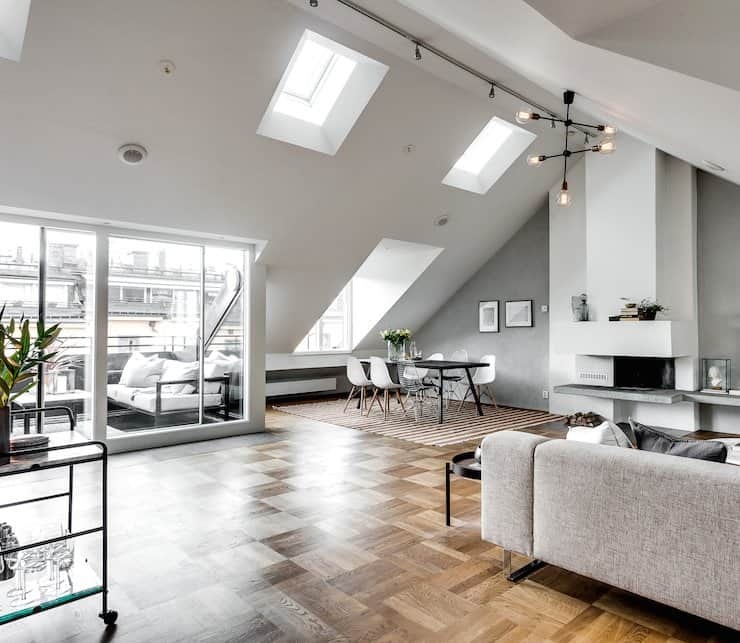 We have to mention that the attic, the last floor of the house, is usually the most quiet one and people love to use this space to relax or find focus, installing home offices. 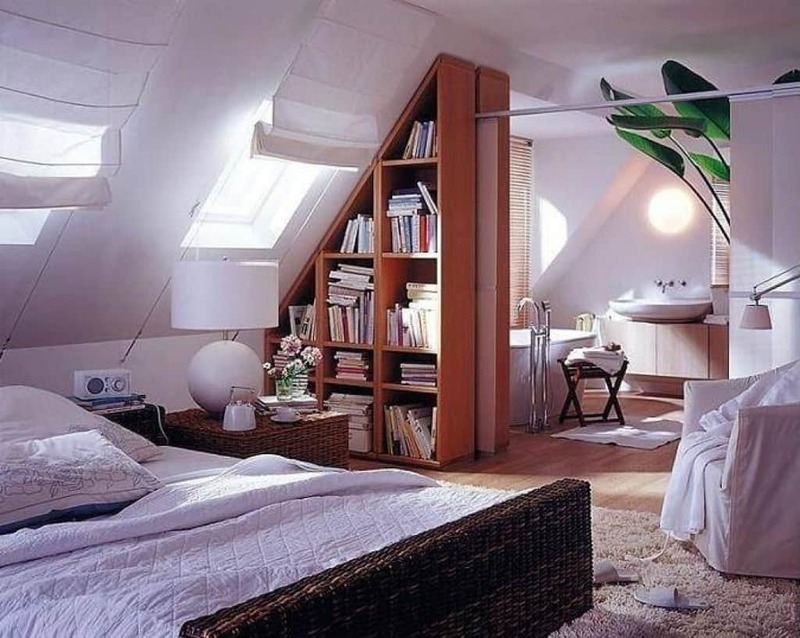 If you are planning to redecorate your attic soon, the photos below will give you some directions which you can follow. 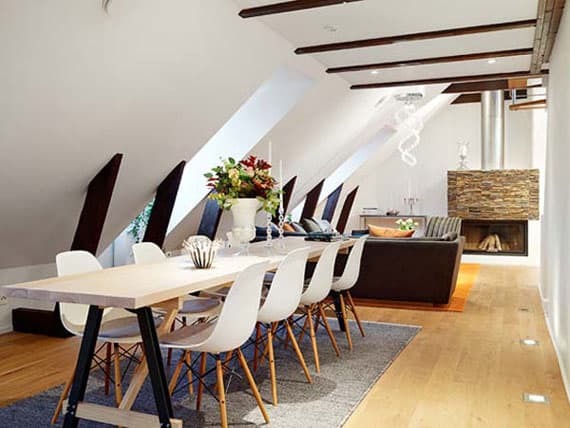 There are lots of challenges when it comes to designing an attic and most of the time you will need custom-made furniture to fit in all of those specific dimensions. 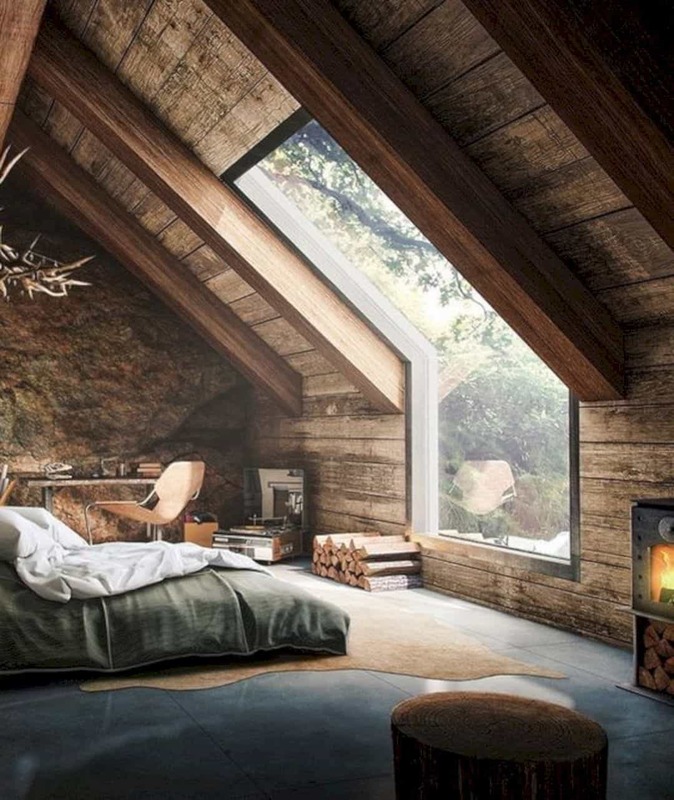 I especially love attics because of the big windows and the direct sunlight. 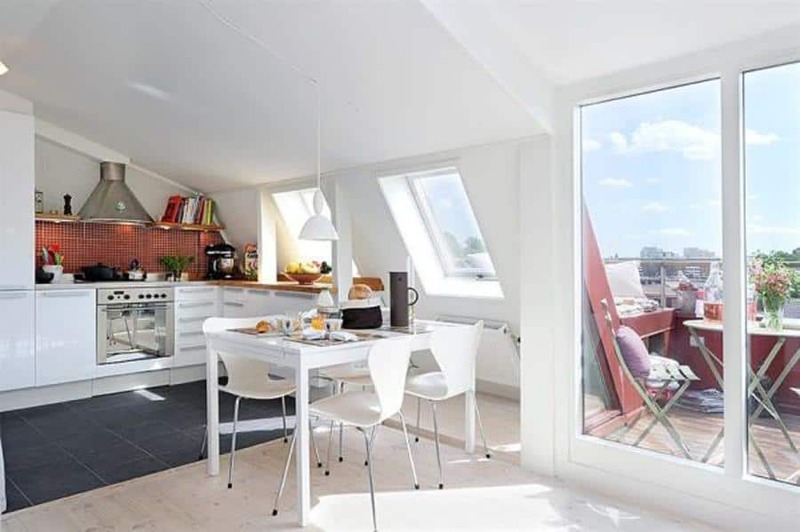 If you have roof windows you can enjoy the stars at night, and the sun throughout the day. 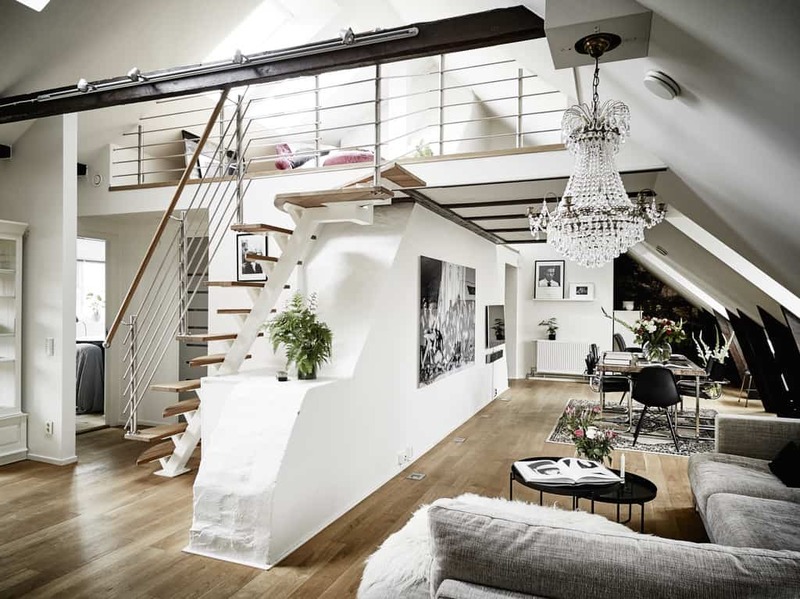 Usually, there are not walls in the attic to separate the rooms, and you have to decorate in an open-floor plan. 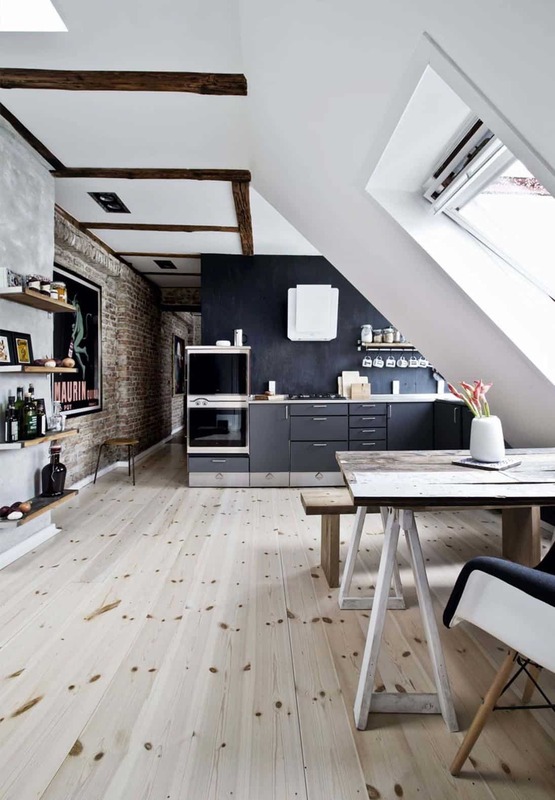 That means that you have to separate and define the areas through furniture. 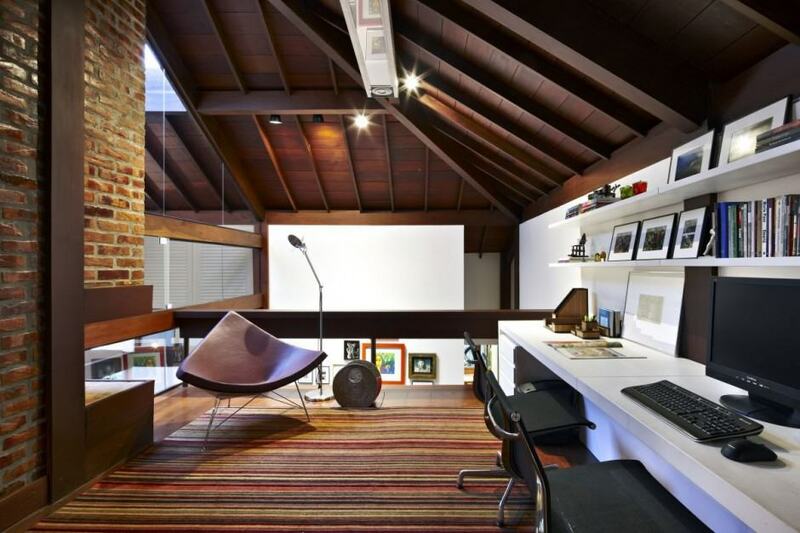 The attic space usually open, spacious, and you can experiment with furniture of all sizes. Make sure you position the windows right because if you are facing south and west, you will be getting too much sunlight and it will be very hot. 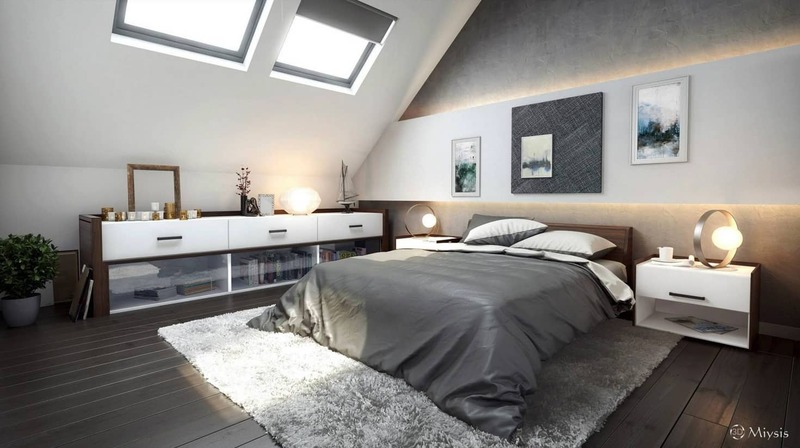 The space in the attic is ideal for a bedroom, so if you are using more floors in the house, make sure you place the bedroom in the attic. You will fell at peace here, and the tranquility will give you the rest you need. 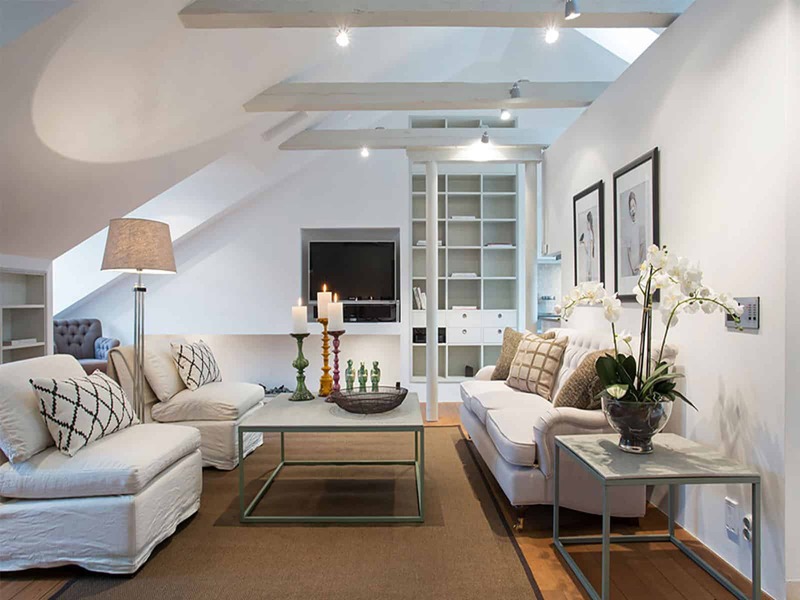 When you are placing the furniture, think smart and arrange it in spaces where people can move around freely. 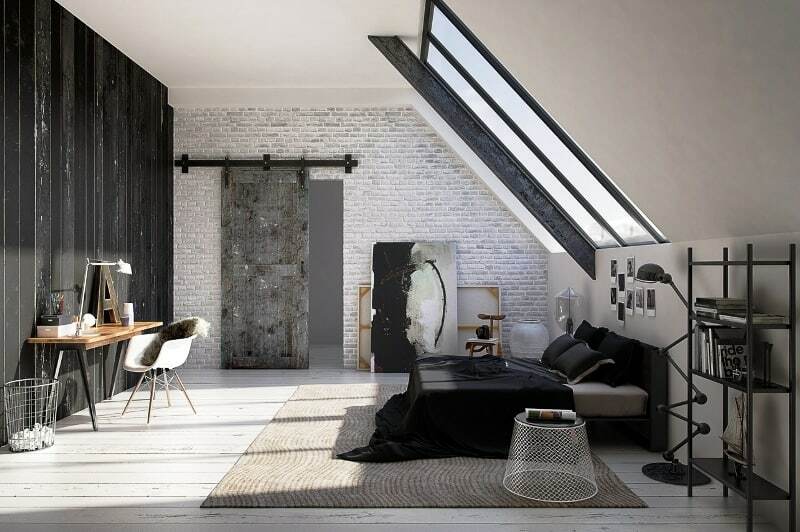 In the places where the roof is too low you can always insert storage units which are not used too often. 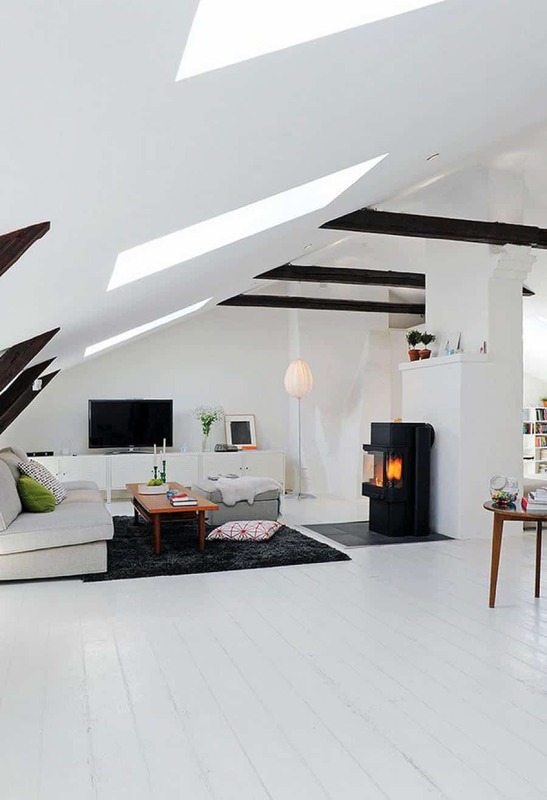 Once you move in the attic you’ll regret it that you haven’t done that earlier. 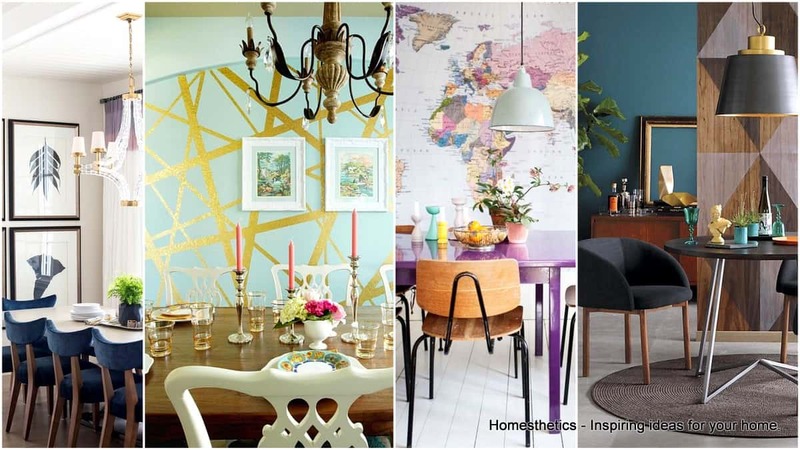 It’s the most coziest space of the house, and when you decorate it according to your personal style, you will enjoy it even more. 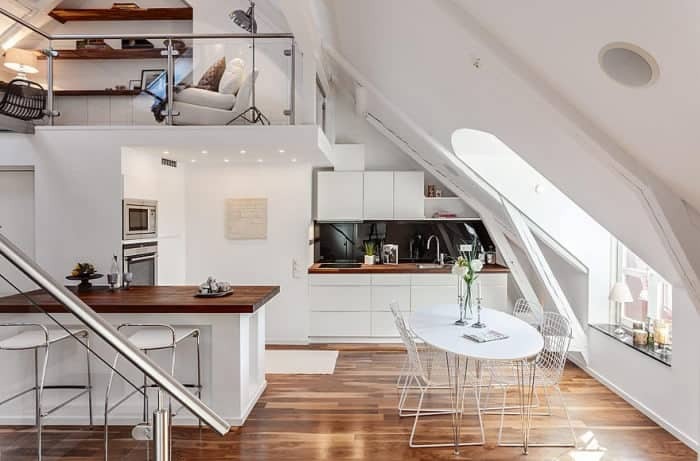 You can consider yourselves lucky if you attic space has a balcony too! What a view from the top! 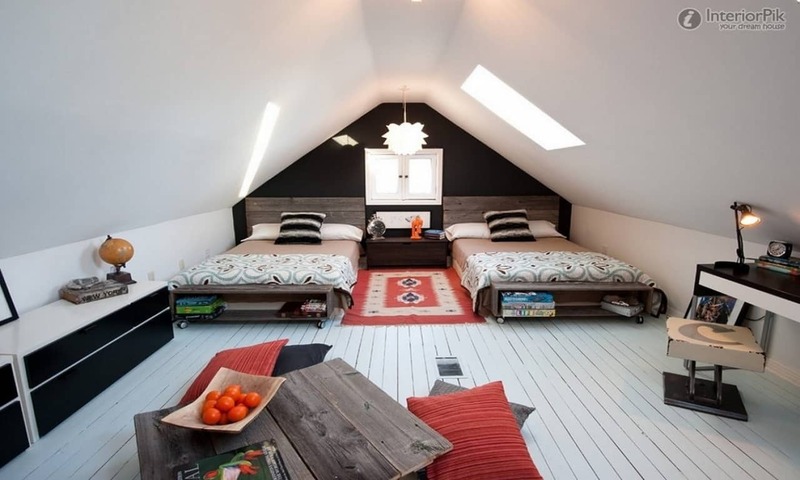 Is there someone who wouldn’t love to sleep in the attic? Plus, you have enough space for a king-size bed! Are you wondering where to make your own library? 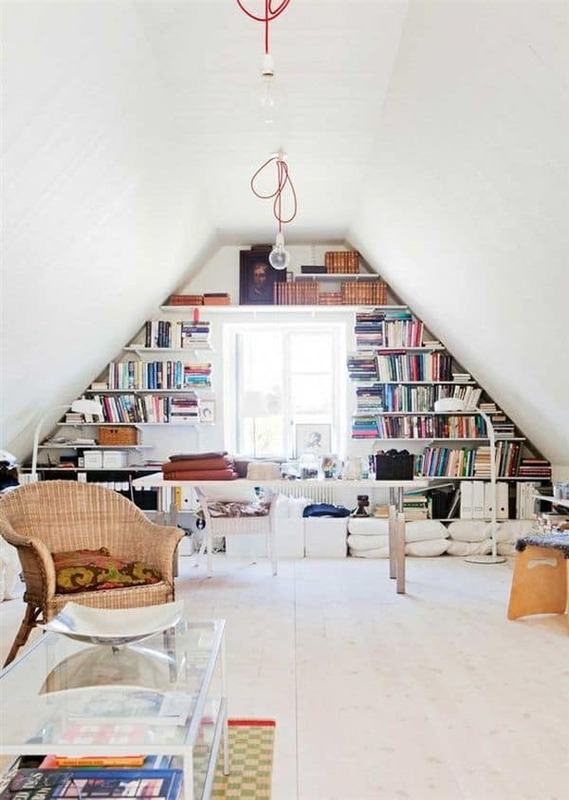 Well, the attic seems to be the perfect place for it! 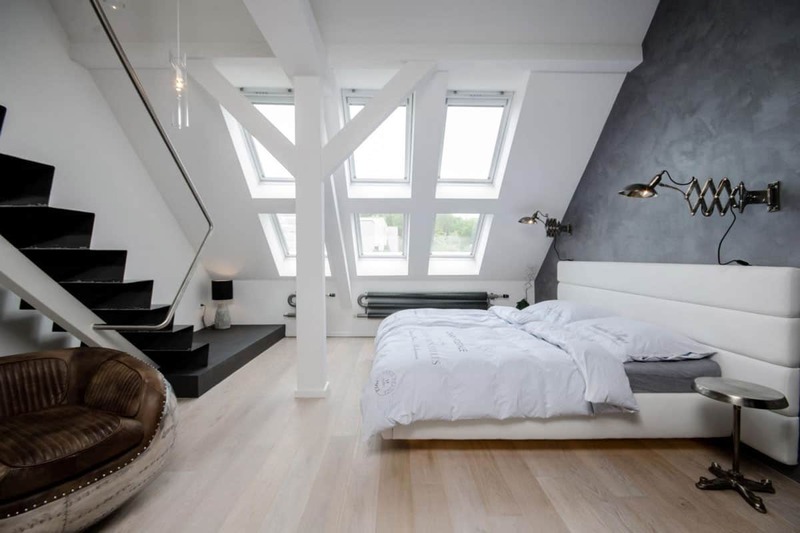 What do you think about these attic interiors? Aren’t they just amazing? We would love to hear from you in the comment section below !